Home › Janathon › #janathon – Day 8 – Father & Son bonding. #janathon – Day 8 – Father & Son bonding. So, this morning I woke up (always a great way to start the day!) and although my legs felt better they were still tired/sore. I thought that was a darn good reason end my running streak and do some yoga in the evening instead. In fact I said “Self, since the legs are still a bit sore/tired why don’t we do some Yoga tonight instead?” Really. Right out loud and everything. As the day went by, the tired/soreness faded from my legs, but I was going to stick with my plan and do Yoga tonight. But then my shoes arrived. 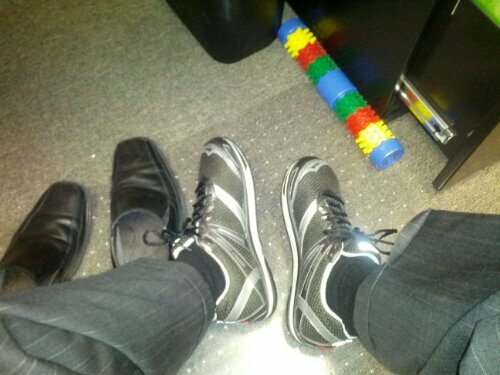 “What shoes?” You might ask…. 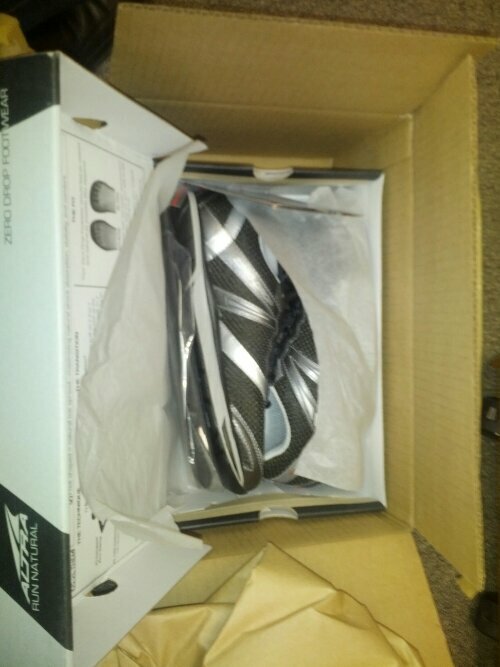 My new Altra Zero Drop Running shoes! They arrived at my office today! Of course I immediately tried them on! They looked smashing with my grey pinstripe suit if I do say so myself! I’m sure you all understand that not-running was no longer an option. Well tonight, he said “sure!”. I thought that was awesome. On the occasions he does go, we usually go around a mile but tonight he asked if we could do 2.5 miles. 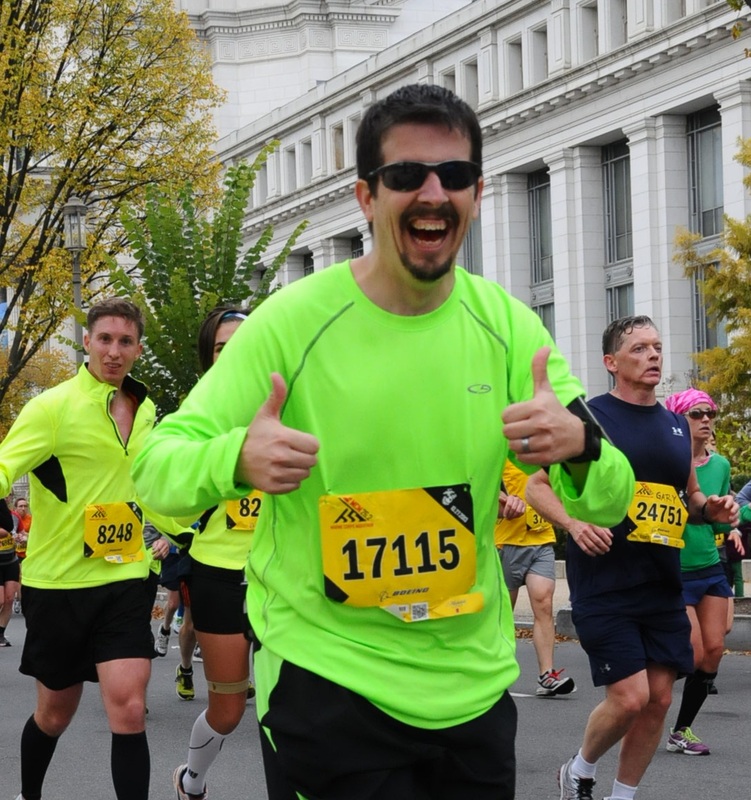 I asked him why, and he told me it was because he wants to do a 5k with me again. I have to admit.. I was so proud. On that great note, off we went! We headed up some side roads, while stopping to admire the sights. 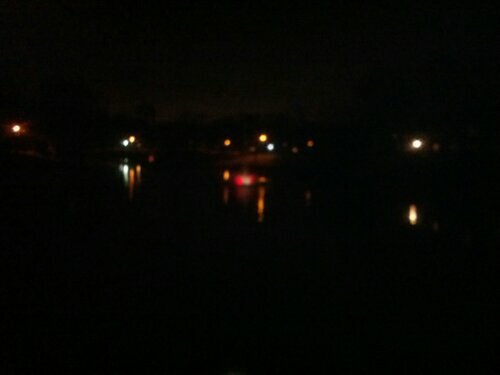 This picture didn’t turn out that well, but trust me, it was really pretty. It was a fountain that had red and green lights. We reached the end of the road with the fountain and we were blessed with a wonderful view of the stars. Bryce pointed out the little dipper to me, and I pointed out Orion to him. We headed back and finished up our run. 2.93 miles in 42:06! 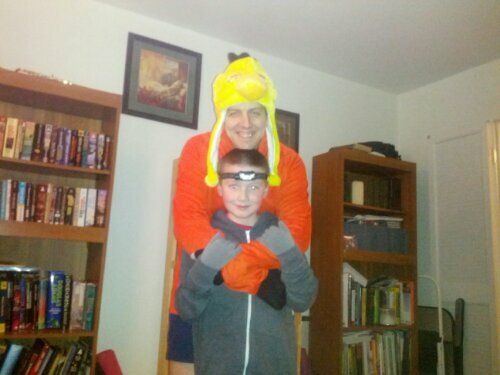 I even let him wear the head lamp for the run! after running 3 miles at a 14 minute pace? c’mon.. I’ve gotta run in them more than that! Probably next week you will see a shoe review come across. Pffft! At least a first impression! Given choice between head torch and that hat I too would have opted for the torch! He would have rather had the hat. But I wasn’t willing to give it up!